Do You Make These 6 Muscle Building Mistakes? Lots of guys are spending months or even years working out hard, doing endless reps and sets, but still with small or even zero results. You invest money, sweat and what you get in return? You may be healthier (well that’s great) but this shouldn’t be the only return of your investment. So stop being frustrated and stop saying to yourself that your body is simply “not made to gain muscle”. The basic rule of gaining weight is to eat more calories than you burn. This might sound obvious, but many guys simply don’t eat enough. There is no strict rule of how much should you eat, because each person has a different body and metabolism. Many people eat a lot for the body they currently have. 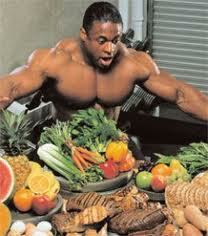 But to get bigger, to advance to the next level, you need to push your limits and eat for the body you want to have! There are many ways to add more calories to your diet: for example you could eat more meals (6 per day) or you could eat more food at the number of meals you currently have (they should definitely be 3 or more). You could also eat more caloric dense foods or add some extra calories to each of your meals. For example you could add one or 2 tablespoons of olive oil to your meals, or some extra peanut butter at the end of the meal, even though you are full. It may be difficult at first to eat more even if you’re not hungry, but eventually you will get used with it. So if you have difficulties gaining weight, simply EAT MORE! (of course, this doesn’t mean you can get stuffed with junk food – see mistake #3). The most important type of food you need to eat on a muscle building diet is definitely protein. Each time you train hard, tiny fractures happen in your muscles and protein is essential to rebuild the existing muscle but also to add new muscles. Lots of guys simply don’t have enough protein in their diet and this is also because of many “protein myths”. One of them says that your body can’t digest more than 20-30 grams per serving. Well don’t worry about this, because your body can take more than that with no problems. So whether you take your proteins from chicken, eggs, fish, milk or a protein shake, make sure to add more to your daily meals. Think of how much protein your dream body requires, and not how much your actual body does. People trying to lose weight might not want to hear about how “difficult” it is to stuff your face with lot of food, but many people really have difficulties in gaining weight. And most of the times when they hit a plateau, they are tempted to eat the most caloric dense foods out there. Eating lots of sweets, donuts, and pizzas will eventually lead to weight gain, but not the type you really want. Don’t forget that your goal is to add lean muscle and not fat! So yeah, eat caloric dense food, but which also brings nutritional value to your body. For example steaks, potatoes, olive oil etc. but also lots of fruits and vegetables. Many veggies have good amounts of protein, so besides helping your overall health and your digestion they also help you build more muscle. So don’t eat the wrong food because you will grow…in all the wrong places! Don’t get distracted by all the fancy equipments found in modern gyms. Barbells and dumbbells are still the most effective weapons when it comes to building muscle and strength. 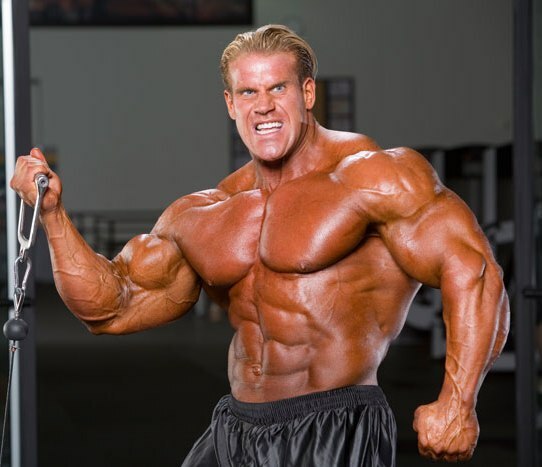 Also make sure to perform compound exercises, the ones that work more muscle groups at the same time. It might be fun to do lots of reps and get a good pump, but that’s not how your muscles grow. You need to constantly increase the weight you are using which will make you stronger and bigger. If you can do more than 10 reps with a specific weight, it’s time to increase it! Of course, don’t over do it and make sure you can perform at least 6 reps with the new weight. Big loads are great but they can also lead to injuries. 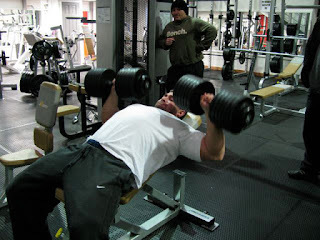 So make sure that you do a proper warm-up and one or two light weight sets before starting the actual heavy sets. Your muscles, tendons and ligaments need to be properly warmed up before you lift heavy weights. You need to get at least 7 hours of sleep per night in order to grow! Your muscles and your entire body needs to rest and recover, not only after a long stressful day but also after a heavy workout. When you get enough hours of sleep, the levels of growth hormone in your body will increase. 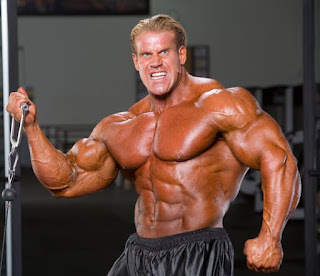 This is a natural hormone your body produces, which helps you recover better and build muscle. On the other hand, when you don’t sleep enough, your body produces cortisol which is a stress hormone that makes it more difficult to grow. The lack of sleep can even make you lose muscle, and this is something you definitely don’t want to happen. So make sure you focus on sleep just as much as you focus on workouts and nutrition. Not only you will feel great the next day, but you will also gain more muscle! Avoid these six muscle building mistakes and you will get closer and closer to the body you dream of. After all, this is our purpose: to help you with “Buildin’ the Body of Your Dreams”. If you are looking for a step-by-step guide to muscle building that includes training routines, exercises and even some printable workout sheets, then we highly recommend you the “Muscle Gaining Secrets 2.0” Program written by Jason Feruggia. Click here to find out more info about this program and don’t forget to share your opinions and questions in the comments area below!